” Democrats are working hard to convince the public that regulations to limit carbon dioxide emissions are necessary to avoid economic and ecological catastrophe, according to a memo obtained by The Washington Post. The memo from Senate Budget Committee Chairman Patty Murray, a Washington Democrat, tells members how to talk about global warming’s budgetary impact. The memo details how “disaster relief; transportation and infrastructure; national security and agriculture” will all be affected by global warming, reports the Post. Obama Must Be Wondering “Will The General Betray Us” ? ” By their second term “inside the bubble,” presidents have completely lost touch with reality: Aides and confidants conspire to keep the chief executive insulated from the real world — the bad news, the worse press coverage. They think it’s their job, and lounging on the Oval Office couches, they nod along with the president’s every musing. But this presidency has taken OOCS to new heights. Mr. Obama has only a few trusted aides, and occasional leaks from the West Wing show a paranoid president suspicious of nearly everyone around him. Supremely confident, convinced by the fawning minions at his feet that he is untouchable, the president dismisses all controversy as partisan attacks by an overzealous opposition. A pliant press corps of stenographers follows in lockstep. Not surprisingly, every president in the past 60 years has had a major scandal in Term 2: Dwight Eisenhower had the U-2 “incident”; Richard Nixon had Watergate; Ronald Reagan had Iran-Contra; Bill Clinton had Monica (literally); George W. Bush had Katrina (and let’s not forget those WMDs that never turned up); and now, this president has Benghazi. ” Steve Hayes takes a detailed look at the scenario that led to the scrubbing of the CIA’s Benghazi talking points to delete terrorism references and focus on the “non-event” video. Hayes’ rendition is consistent with what we’ve been saying for some time now — the State Department pushed for the talking points to be changed to cover up its pre-Benghazi malfeasance and the White House concurred, presumably to help re-elect Obama. 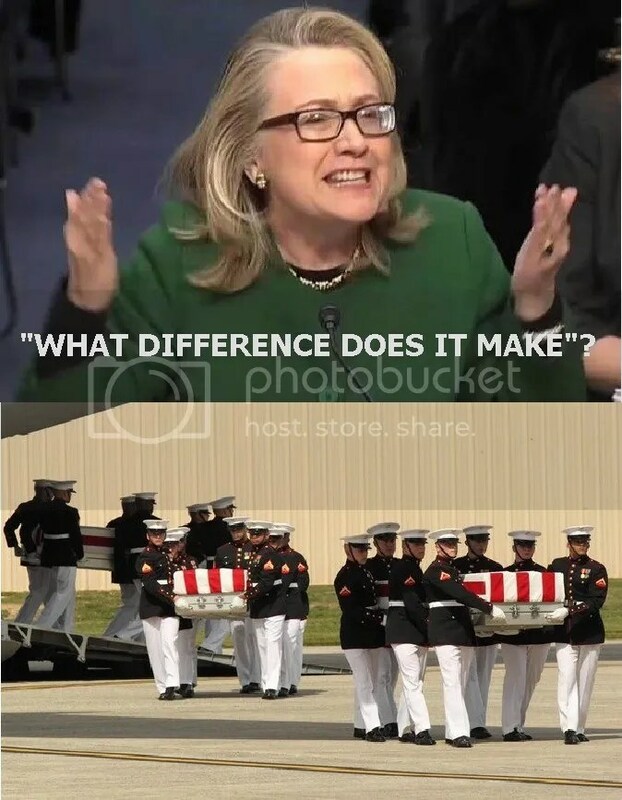 ” There’s new evidence, obtained by ABC, that the Obama administration did deliberately purge references to “terrorism” from accounts of the attack on the Benghazi diplomatic mission, which killed four people including the US ambassador to Libya. This is the first hard evidence that the state department did ask for changes to the CIA’s original assessment. There’s little doubt in my mind that this will haunt Hillary Clinton if she decides to run for president, unless she executes some pretty fancy footwork. ” When it became clear last fall that the CIA’s now discredited Benghazi talking points were flawed, the White House said repeatedly the documents were put together almost entirely by the intelligence community, but White House documents reviewed by Congress suggest a different story.